Within our natural world we are surrounded by amazing facts of life. In this blog I have presented 10 remarkable facts on the lifestyles of birds of prey and vultures. 1) Harpy Eagles are one of the world’s largest and strongest eagles. 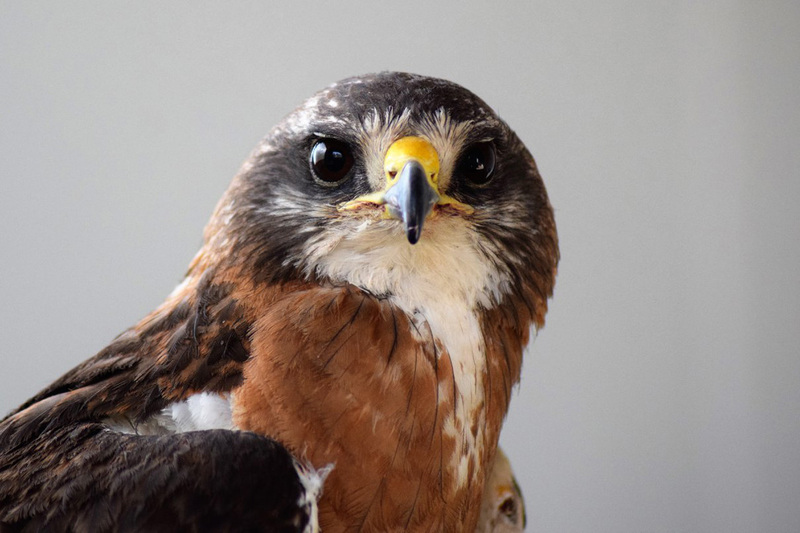 According to the Peregrine fund, their hallux (a raptor’s back talon) averages 3 to 4 inches in size. This is the same size as a grizzly bear’s claw. In the world of raptors, females are larger than males. 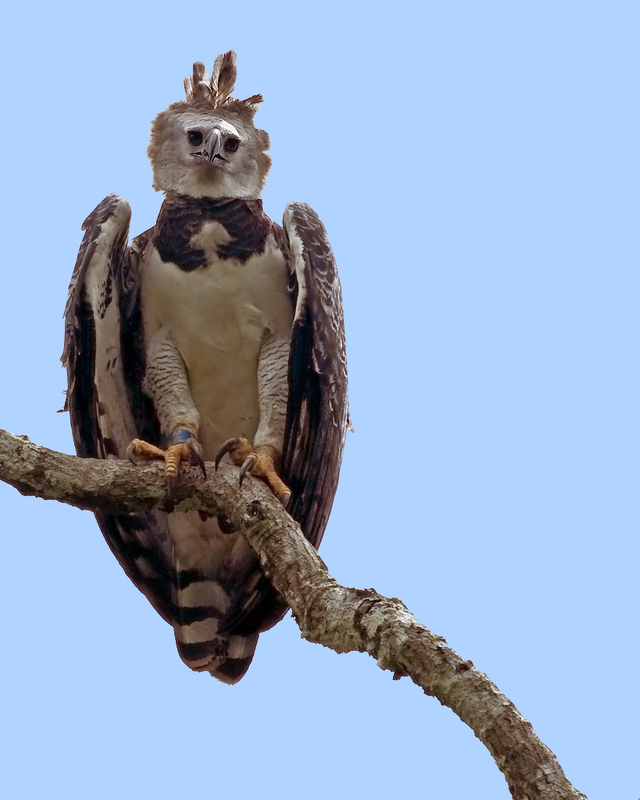 Female Harpy Eagles, can weight up to two times more than their mate. 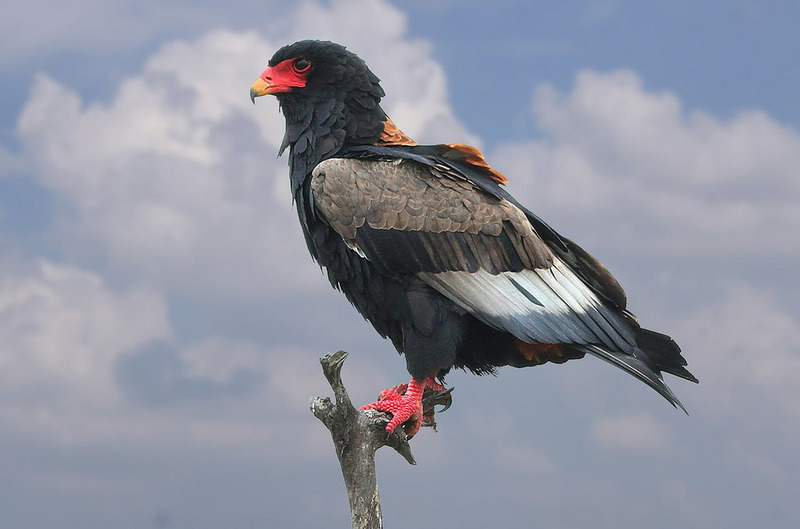 2) Bateleur Eagles are one of the most colorful raptors. It is a medium sized eagle, living in open habitats throughout most of Africa, as well as parts of the Middle East. During the breeding season, the Bateleur performs incredible flight displays. It can execute 360 degree rolls, along with amazing turns and somersaults. The male also performs steep dives toward the female. Like our Short-eared Owl, Amelia, courting Bateleurs clap their wing. These claps are said to be heard for a great distance. 3) Did you know not all vultures have featherless faces? 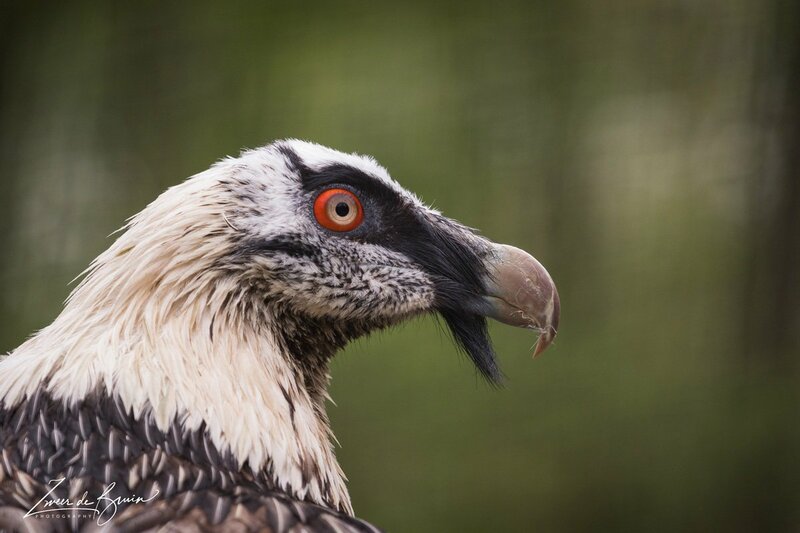 The Bearded Vulture usually doesn’t have to worry about getting its head and face dirty. Bearded Vultures almost exclusively feed on nutritious bone marrow, and bones. They will swallow small bones whole, and carry large bones into the air, where they will drop them over and over again onto rocks to break them up into small enough pieces to be eaten. Young Bearded Vultures must learn this skill, which may take up to seven years to master. 4) You may have seen a Secretarybird in a photo, at a zoo, or if you are really lucky, in Africa. You may be surprised to learn that these long legged birds are birds of prey. Preferring to hunt on foot, these birds may walk over 20 miles a day. Their long legs come in handy for kicking venomous snakes and other prey. The Secretarybird can prey on some of the world’s deadliest snakes such as cobra, mamba, and puff adders. With a kick five times their own body weight, Secretarybirds can knock out the snake with one kick. Once stunned, they will stomp on the snake, until it is dead. 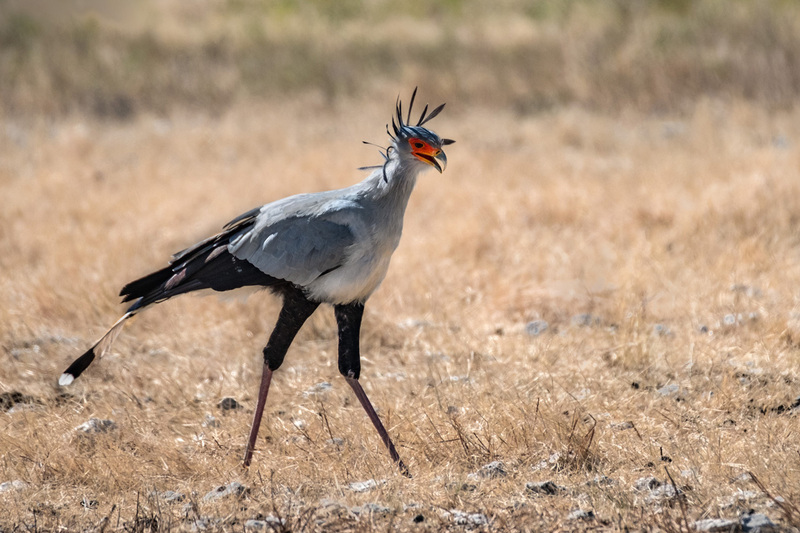 The Secretarybird will also stomp on the ground near bushes and other vegetation to flush small mammals and birds, which it will chase down. It will then either kick it, strike it with its beak, or stomp on it until it is dead or stunned at which time the bird will swallow the prey whole. 5) The Greater Yellow-headed Vulture is one of the most abundant, conspicuous, and widely distributed birds that live in the rainforest of South America. Despite this, they were only discovered in 1964. 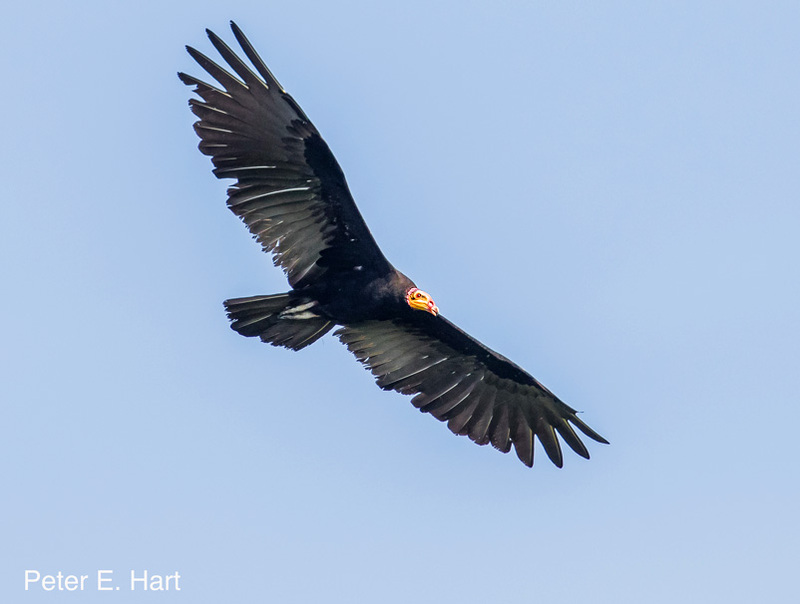 The Greater Yellow-headed Vulture along with the Lesser Yellow-headed and the Turkey Vulture are the only 3 vultures in the world with a great sense of smell. This allows them to detect the gasses rising off of carrion. 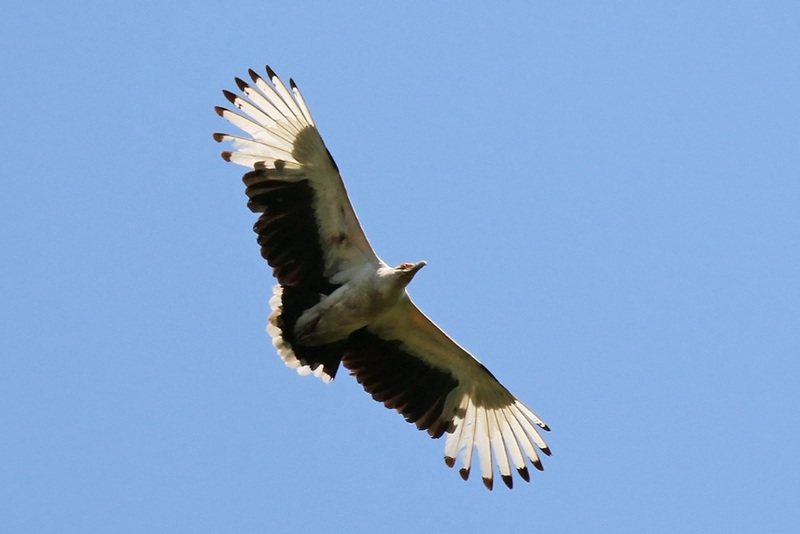 Palm-nut Vulture in flight at the Semliki Wildlife Reserve, Uganda. 6) Did you know that there is a vulture whose favorite food is fruit? This same vulture will also hunt live prey! The diet of the adult Palm-nut Vulture consists of 58% to 65% of the fruit of the oil palm. This fruit makes up 92% of the juvenile’s diet. Palm-nut Vultures will also feed on dates and other fruits. When feeding on palm fruit, they hang upside down below the fruit, then pull the palm nut off the tree with their beaks. They hold the fruit in their feet to eat it. The remainder of its diet consists of fish, crabs and invertebrates, as well as small mammals, birds and reptiles, which it hunts or occasionally takes as carrion. This vulture is rarely seen feeding on large carcasses. 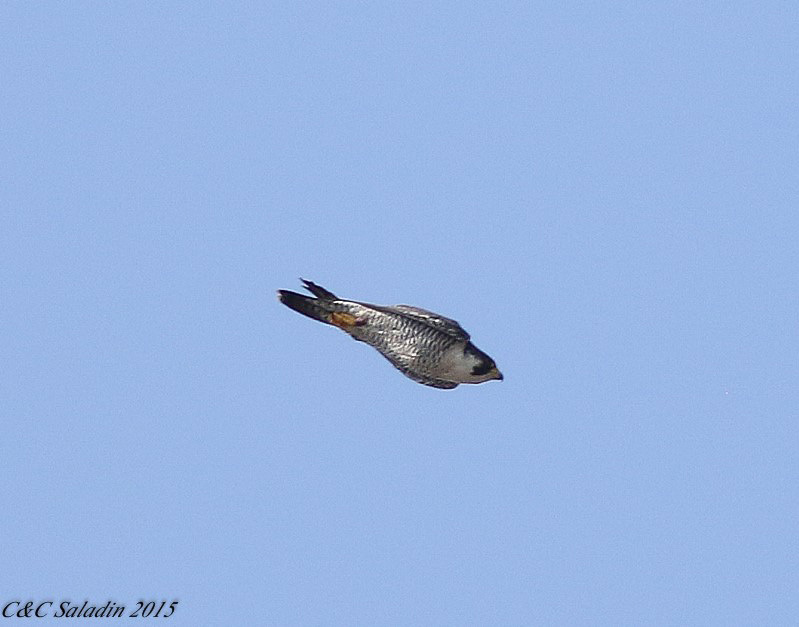 Peregrine in a Fast Dive. Notice how streamlined the body is. 7) It has been said that “Peregrines may mate for life, but they don’t mourn for a minute.” In his book, Peregrine Falcon, Stories of the Blue Meanie, Jim Enderson relates the following interesting observation: In one case an adult from a nesting pair disappeared. Within a couple of days, another peregrine replaced it. Soon after the other original adult was lost. It was also replaced by a second peregrine. The new pair, of which neither was an original parent, ended up rearing the orphaned young of the original peregrine falcon pair. 8) The Peregrine Falcon is arguably the fastest animal in the world. Peregrines’ favorite prey items are birds. While hunting, Peregrines will attack a bird in flight by stooping (diving) toward it, then kill or stun the targeted bird by either striking it with balled up feet, or scraping it with open talons. One research bird was clocked at 242 mph. Hayden, the Draper Museum Raptor Experience’s handsome Swainson’s Hawk. 9) Swainson’s Hawks migrate more than 6,000 miles one way from Canada to Argentina in as little as two months. This means they are averaging 124 miles per day. 10) Each year both bald and golden eagles are known to repair and reuse nests. A bald eagle nest in St. Petersburg, Florida was 20 feet high and more than 9 feet in diameter. A nest in Vermilion, Ohio was used for 34 years, until the wind blew down the tree it was in. It was estimated to weigh nearly two metric tons. This is about 4,409 pounds. 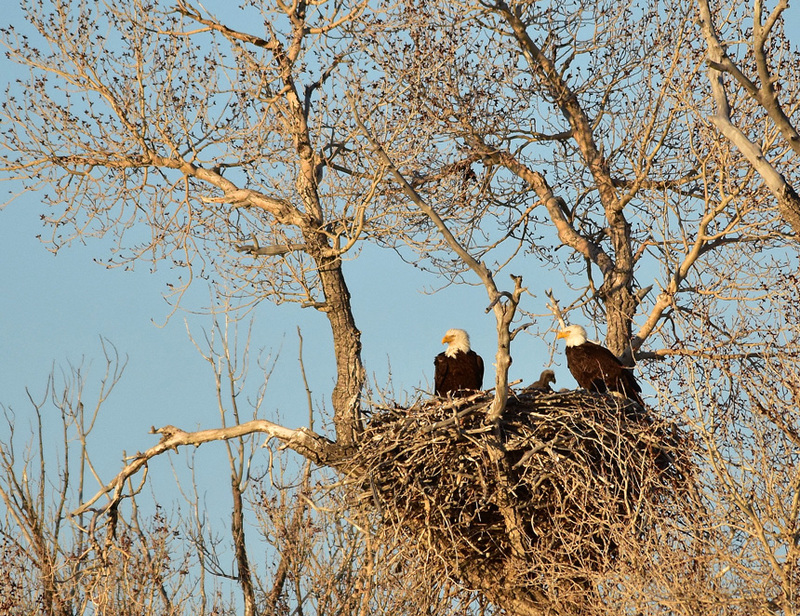 This bald eagle nest is located on the Seedskadee National Wildlife Refuge. The large nest above is one of 8 active bald eagle nests located on Seedskadee National Wildlife Refuge. This pair has used this nest for almost 10 years and has fledged over 20 young. Only one eaglet is visible in the photo from 2017, however three eaglets could be seen at times. These 10 facts are just a few of the amazing lifestyles you can find in our natural world. Today even people living in large metropolis areas can explore nature. Through Zoos, museums, the web, science documentaries, books, etc. one can gain knowledge about all kinds of interesting animals. This knowledge will expand minds, and if shared, can even help to bring about a better understanding and appreciation of the wonderful world we live in.